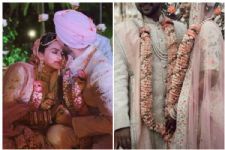 Love is in the air and we all are witnesses as we see the pictures of popular faces from our B-town and Telly town getting hitched to one another. 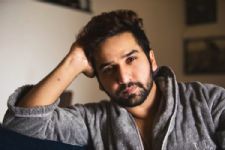 But no this actress is in no hurry to put a tag on her relationship yet but had poured her heart out to the Bombay Times in an interview. Naamkarann actress Sayantani Ghosh is in a relationship with fitness expert Anugrah Tiwari and does not want her relationship to get a "tag for the heck of it". As she narrates her love story, she met Anugrah through a common friend and they instantly hit it off. We heard that the two broke up for a while but not they have gotten back together and are very much in love as well. Sayantani says that since her parents live in Kolkata, Anugrah is her family away from family, and a companion. She says that they are best friends, who are extremely supportive of each other. He is special, but she can't give their relationship a name, yet. She doesn't want to tag it socially for the heck of it. She vouches for the fact that they are in a happy and peaceful space together. It's a meaningful relationship and hereon, whatever decision they take, will be for a better future, and she is very positive about it. It's good for two people to grow together. Well, the next question is about marriage. To this Sayantani says that she and Anugrah are still discovering each other. Sometimes, an independent mind can lead to a lot of complications in one's thinking. It's not always right or wrong. She asserts that they aren't thinking about marriage yet, and are taking each day as it comes. At the moment, Sayantani is married to her work. Well, it's great to know. On work front Sayantani did a cameo in Sitara: Vish ya Amrit recently. She rose to fame with Naamkaran and has been a part of countless dailies. 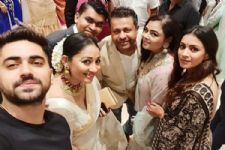 Zain Imam REUNITES with his Naamkarann Family; Pictures Inside! 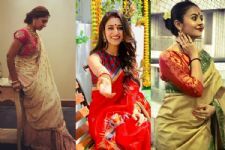 THIS Naamkarann actor to play an interesting role in Krystle Dsouza starrer ALT Balaji series! 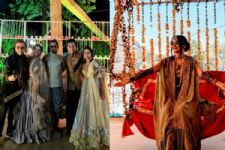 THIS Naamkarann actor gets married in a traditional ceremony! See PICS! This actress' LEGAL troubles WORSENS; she must make a choice! Catch Bharat's complete journey in the new motion poster of the film!